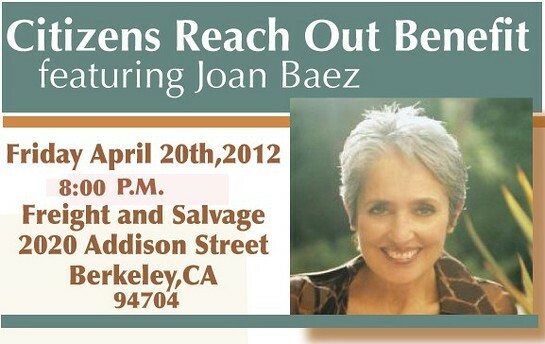 Music legend Joan Baez will perform in a benefit event for Citizens Reach Out (CRO) at Freight & Salvage in Berkeley on Friday, April 20. 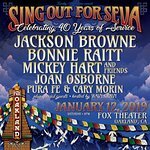 From Joan’s website: "CRO is a non-profit organization that is dedicated to raising awareness and improving the lives of war victims around the world. Through their work, CRO seeks to educate the public about the human cost of war on civilian populations, and to engender a sense of responsibility in all people to alleviate the suffering of these innocents. The concert will also feature the Saadoun al-Bayati Trio.